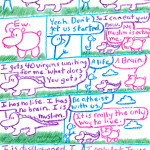 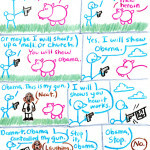 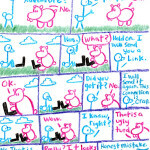 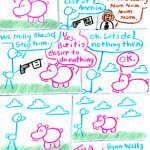 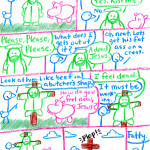 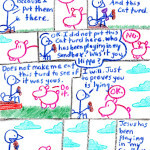 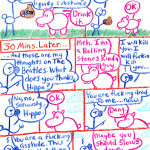 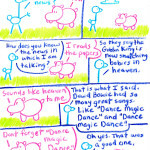 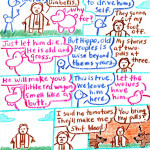 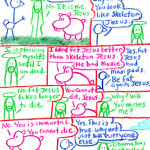 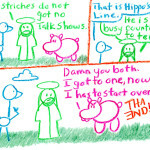 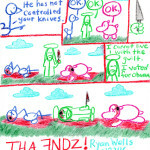 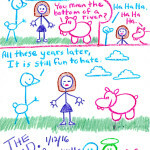 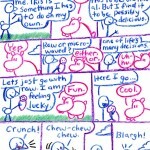 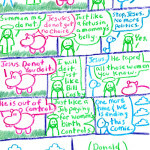 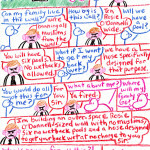 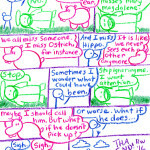 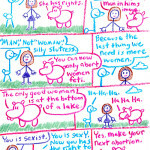 I have decided to bring back “Ostrich, Hippo & Jesus on Grass” comics after a ten year hiatus. 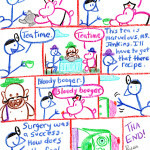 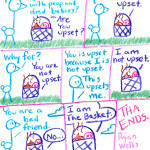 The fourth series will consist of twenty new comics. 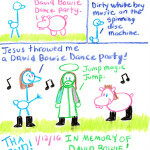 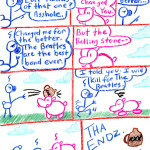 The first comic is a tribute to the late star man himself, David Bowie, who passed away yesterday. 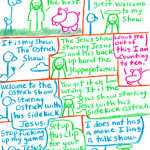 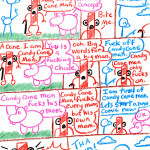 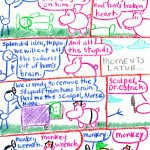 For updates on new comics please ‘like’ the “Ostrich, Hippo & Jesus on Grass” Facebook page.